Partner with a Leading And Accredited DMC! An integral supplier for event planning companies, worldwide associations and blue chip organisations. Need assistance with Event Planning? Our organisation and partners are specialists in the organisation and logistics of meetings and events in a specific country, geographical location or destination. Has in-depth knowledge of the destination, years of experience in organising programmes, relationships and volume of business with local vendors and creativity, the DMC creates flawless execution of events. A DMC is a conference planning or meetings and incentive travel company. A DMC is the the local partner of a corporate meeting planner, incentive planner, travel agent, conference planner and meeting organiser. Receive a proposal or quote today! You can now send your requests directly to our destination's proposal writing offices by joining our super quick 'proposal generating' and 'messaging' online platform UniqueRFP! Follow the steps below and then an Account Manager based in the destination of interest will support you. Step 3 – View my shortlist (e.g. www.uniqueworldglobal.com/shortlist) You can add other destinations by clicking the stars! Step 4 – Click "Request for a Proposal". Then complete the RFP and press submit. You will now have your account set-up to able send your event proposal directly to DMC offices and receive proposals FAST! Benefits in joining are listed when registered. Our DMC partners have the updated local knowledge of refurbishments and new venues, and are leading and largest companies within their country. Offer better hotel rates than sometimes going direct. This is due to their volume of business generated from worldwide. CRUCIALLY - hotels will not reject groups from our DMC partners, with it being essential for the hotels to maintain a healthy relationship. There are many added advantages, most of our event organiser partners providing a FREE hostess for 50+ pax. All have quotation departments offering immediate responses, and dedicated account managers upon proposal confirmation. 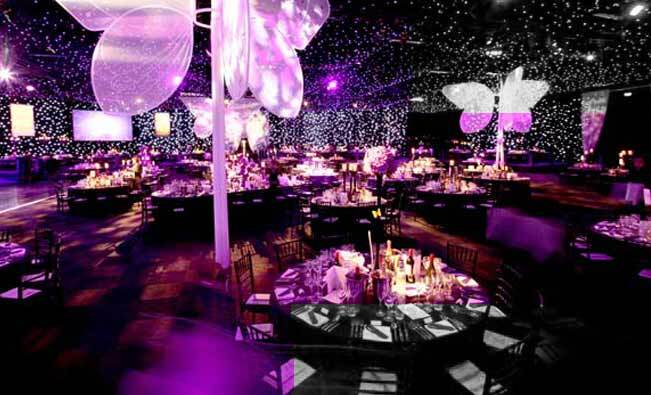 Uniqueworld service the events industry from very small to large organisations. The range of events that an event management business can supply is impressive. They can arrange events for a small group of people or huge events with up to 5,000 people attending. Most businesses contact an event management team because their expertise in the field should be second to none. Uniqueworld DMC members can insure you receive the best price quotes and the most reliable service for their destination. You are a conference organizer? These are the 4 steps for your success! Determine the Conference’s Purpose - The more focused a conference’s goals are, the easier it is to determine the potential audience as well as the best publicity for it. Create a Budget - Once a purpose is determined, a budget is essential to determine the conference’s financial feasibility. Secure a Venue - The conference could take place in hotel conference rooms, a convention center, or some other venue with the appropriate sized rooms for rent. When you are ready to plan your next conference our DMC members can help create the memorable experience for you. Incentive Travel is regarded as the key motivating factor for personnel. Focusing on your products or services will result in achievement of sales targets and business goals. People respond to recognition and rewards with additional loyalty, increased motivation, and a willingness to improve performance. The challenge to any incentive organiser is ensuring client expectations are constantly fulfilled and the exceeded on every programme. Uniqueworld members are carefully selected to belong to the DMC Portfolio all passing a rigouros preffered check list. Our DMC members are the leading within their destination priding themselves being creative and unique. Employee incentives are usually used to motivate employees and create a positive vibe in the office. Teambuilding promotes positivity and productivity. Incentive tours involves an organised excursion with a creative twist under the guidance of specialist. Uniqueworld's members use guides regarded as the best at their profession, all trained from the core curriculum of the country's history, architecture and social development of the country. Uniqueworld's DMCs venue find and produce events that are pioneering, inspirational and stimulating. The members tailor unique and bespoke events for product launches, major corporate events, exclusive private parties and specific client requests for companies based in the UK, London and worldwide.